Round Corner Cutting Machine(HCI-L2) - HCI Converting Equipment Co., Ltd. 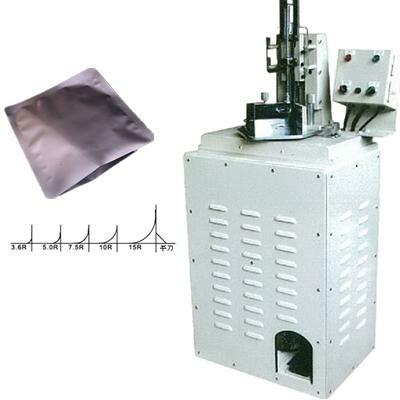 Suitable for corner cutting of polybags such as Three Side Sealed Bags, Center Sealed Bags, Stand-Up / Zipper Pouches, etc., offering another useful solution beside to do it in-line on bag making machine. The maximum stroke up to 80mm, it increases efficiencies by batch cutting. Quick interchanging system with different radius cutting blade available. Equipped with safety cover to protect operator. Equipped with pedal switch and waste collector.